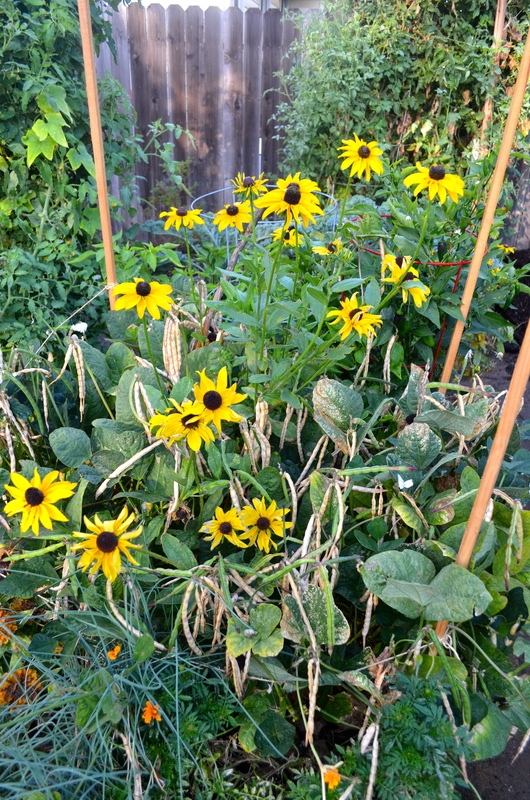 On June 12, I started some California Blackeye Cowpeas and transplanted them into one of my raised beds on July 1. By August these were really healthy and robust looking plants and by mid September these plants were drying out ready to be stored. 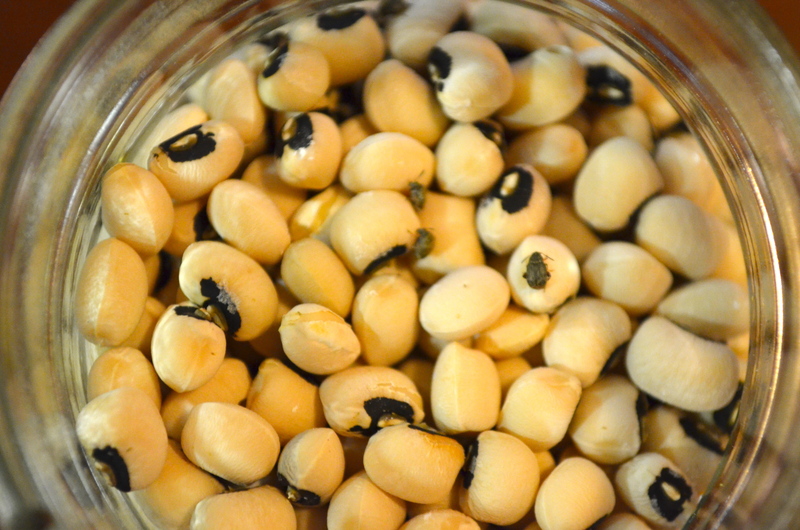 My daughter and I had a great time shelling the cowpeas and got a respectable haul from just a few plants. 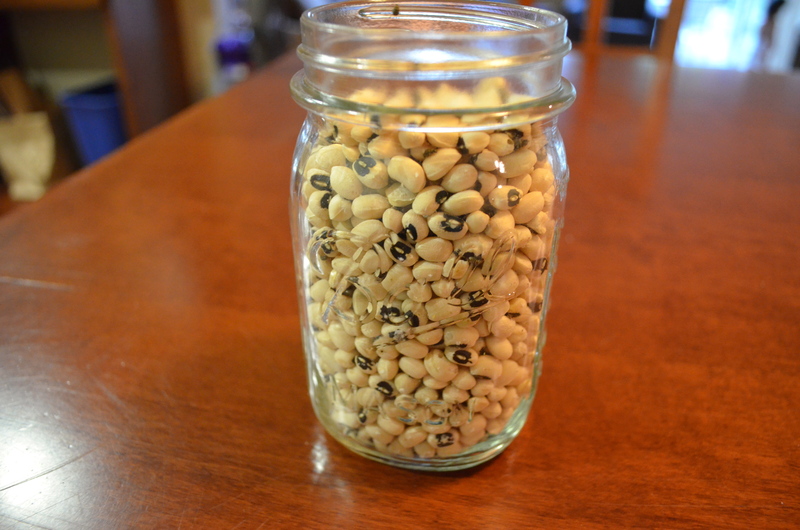 We stored about two mason jars full of the cowpeas which I marked down as a gardening success. In the past I have saved enough seed to replant the next year but this was my first time attempting a storable harvest for later use. Two mason jars is not a ton but would be enough to throw into one or two meals. Well, I should have done a little more research. 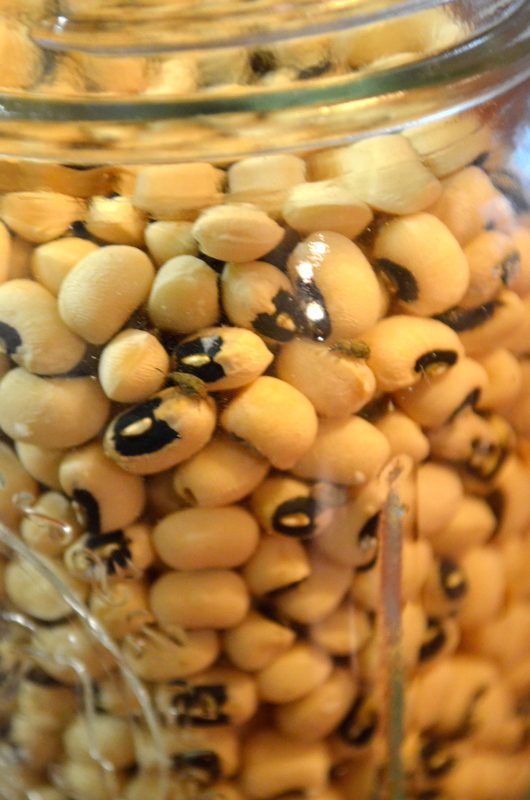 Once my daughter and I happily harvested the beans and put them in the jars I forgot about them. 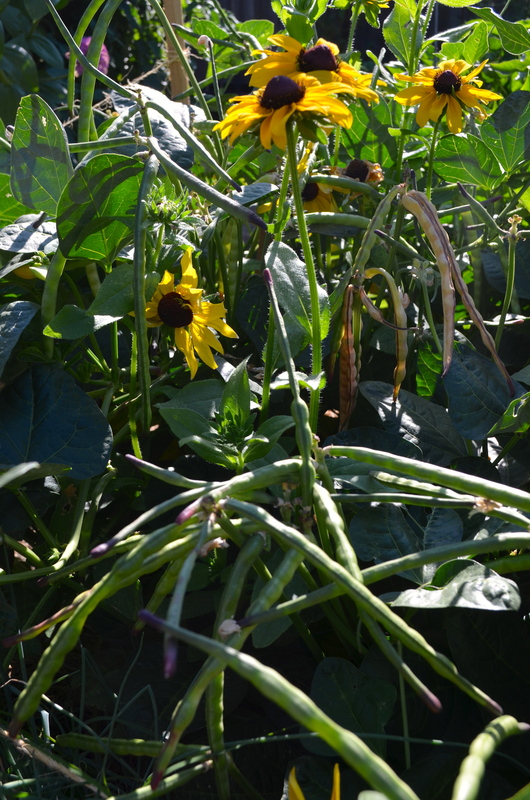 This morning when I took a closer look I saw some crawly grey insects in the beans. Bean weevils! I’ve never seen bean weevils before but this is what I gather they are. Take a closer look at the picture below (sorry my camera is not as great at close ups as I would like). See those little guys about three rows of beans down from the top? Yuck! Here’s another shot of a few crawling around on top. So after a little reading up on these guys I have some new strategies for next time around but this harvest went straight into my city green waste bin. I think the main problem that went wrong was that my husband was trying to be “helpful.” Let me explain: My daughter was helping me sort the beans. She was really helping as much as a toddler can. I asked her to put all the beans we had shelled into a colander and move them into a mason jar. She did quite well at this task and it kept her busy on the kitchen floor long enough for me to make dinner. Well, while I was showering she had spilled many of the cowpeas onto the floor so my husband trying to be “helpful” and decided to wash the beans. Immediately he realized his error and tried to dry off the beans that were meant for storage. Well the beans dried out just fine but perhaps this triggered the eggs of the weevils to decide it would be a great time to hatch. I will spare you on the details of the weevil life-cycle because it may make you queasy. That is just one theory I have of what happened but I shouldn’t blame my husband entirely. Wetting the beans probably only sped up the process since the eggs were already there. Another strategy I read about is after putting the beans in jars, to freeze the jars for a few days. Apparently this helps kill the eggs. Also there are strategies of preventing the adult weevils from laying eggs in the first place by planting companion plants that will repel weevils. It amazes me that my garden feeds me anything at all given all the problems you can run across! But each time I try something new I definitely learn something new too. On to the next experiment! 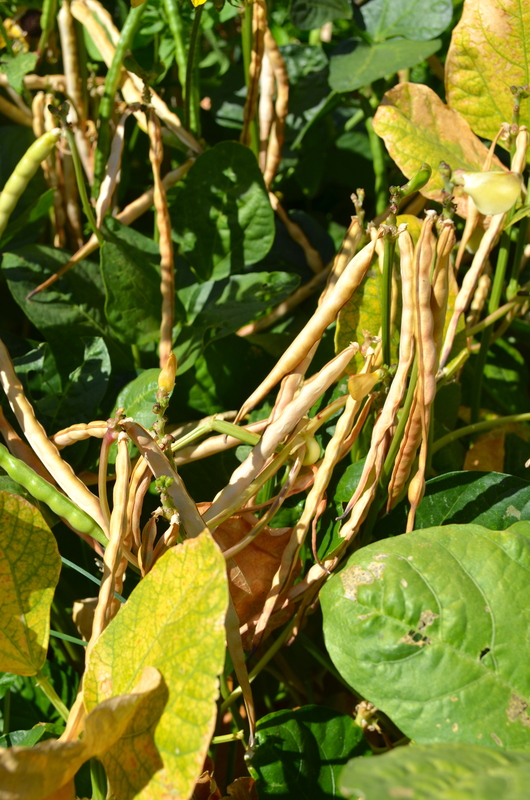 Tags: California Blackeye Cowpeas, Cowpea, drying beans, weevils | Permalink.